Russia has accused the United States of seeking pretext to destroy North Korea. It comes after Pyongyang claimed with its latest missile test to have made a breakthrough in its aim to reach America. In some of his most forthright comments, Russia's Foreign Minister Sergei Lavrov said Washington wanted North Korean leader Kim Jong Un to "fly off the handle and take another reckless step." "We have stressed many times that a sanctions regime has exhausted itself," Lavrov told reporters in Belarus. "All the resolutions that came with sanctions included an obligatory requirement for a renewal of the political process, fresh talks. And this is exactly the requirement that's been completely ignored by the Americans. I think it is a big mistake." On Wednesday, the US envoy to the United Nations called on other countries to sever ties with Pyongyang. That includes trade links and the expulsion of North Korean workers. Despite the ratcheting up of tensions, France's former foreign minister Hubert Vedrine told euronews he believes the stalemate will end peacefully. 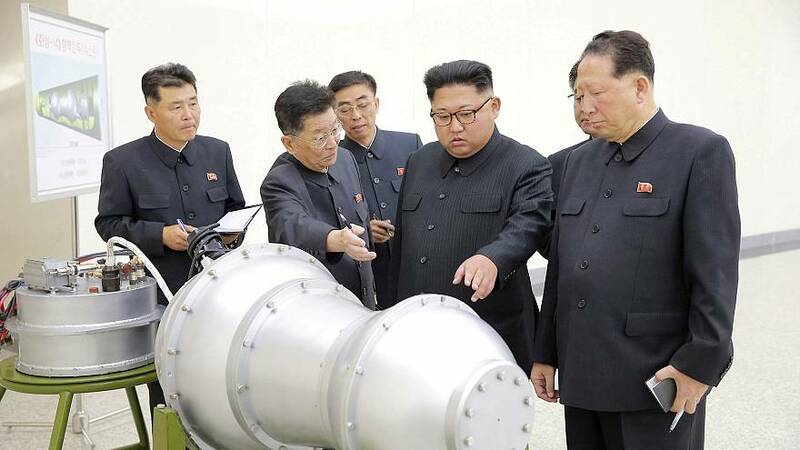 "In my opinion the USA have already secretly studied the possibility of a pre-emptive strike to destroy all the nuclear sites of North Korea, but they're not sure of destroying them all at once," said Vedrine. "The problem is that North Korea could take terrible retaliatory action against South Korea and particularly on Seoul, which is very close. "The most plausible outcome is that the world will accept that there is a country, North Korea that has become nuclear as two or three other countries have done, outside of the nuclear proliferation treaty. So we will get use to it, with many very harsh declarations but they won't have practical consequences '. North Korea's latest missile flew higher than any other previously tested before dropping into Japanese waters.